We offer our clients a personalised experience that’s tailored to their needs and financial dreams. It’s only when we fully understand an individual client’s idea of Financial Freedom that we can help them create the life they really want to live. What makes Hillross work better for you? We know that our clients work hard for their wealth. What’s more, we want them to think about precisely what they truly want from life. That way, we can help put their money to work in order to help achieve those aspirations. This starting point sets us apart. While there’s a lot of noise in financial planning around ‘wealth creation’, there’s not much discussion as to why. 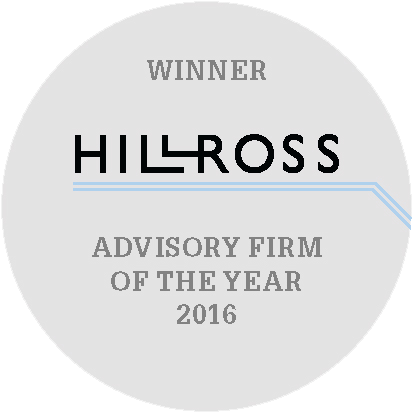 Once you know ‘why’, Hillross has the know-how to help you get there. We put our clients first. The service we provide is always personal and firmly focused on the needs of each individual client. No matter what the size of your financial need is, we will work through a structured process to help you identify the appropriate solution and make an informed choice.